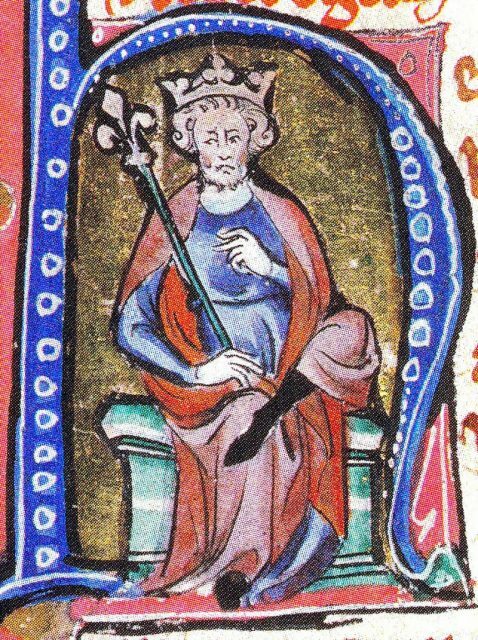 With the conquest of England in 1016, and his recognition as the king of Denmark in 1018, Cnute the Great had, with his hand of royalty, united the crown of England and Denmark. In his bid to consolidate his claim over England, he made several trips away from Denmark. His absence from Denmark would birth the presence of threats to his Danish kingdom. On the other side of the Baltic Sea, in the kingdom of Norway, lived King Olaf II, who was summoning men from all corners of the land: Halogaland, Throndjhem, Bjarkey Island, More, and some southern parts of the country, mustering them for his planned battle against Cnute, a battle through which he wished to take the kingdom of Denmark. Cnute the Great illustrated in an Initial of a medieval mansucript. While in Hordaland, Olaf heard that King Cnute was in England, waiting for Erling Skjalgson. He made inquiries to confirm where Cnute was, and all pieces of information pointed to the fact that Cnute’s absence from Denmark was true. 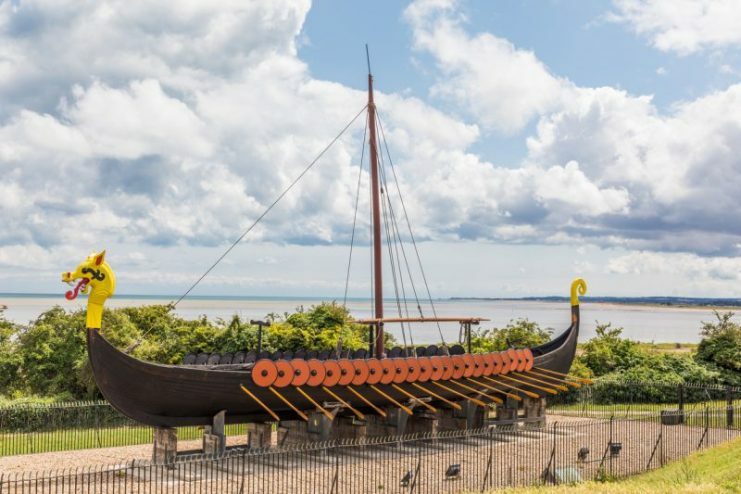 A restored Viking Sailing Ship at Pegwell Bay in Kent, UK. Having initially thought of facing off directly with Cnute, Olaf made quick adjustments in the plan, sending the weaker forces home. Then, with the strongest of his men, he sailed to the south of Denmark. At Denmark, he set his course to Seeland. There he invaded the city and began to maraud. Several Seelanders were either killed or captured. Only a few successfully fled with their lives, but the Seelanders never fought back. Doing so would’ve been suicide. While on his marauding expedition on Seeland, Olaf was soon joined by Onund. Onund of Sweden had marched from the fallen city of Scania, which he had attacked, until he met with Olaf, his brother-in-law with whom he had sworn alliance, and with whom he had sworn enmity, against Cnute. After their reunion, they declared their intention to wrest the kingdom of Denmark from the hands of Cnute. The people of Seeland, who had by the hands of Olaf become subjects to the Norwegian rule offered their support to Olaf and Onund’s cause. 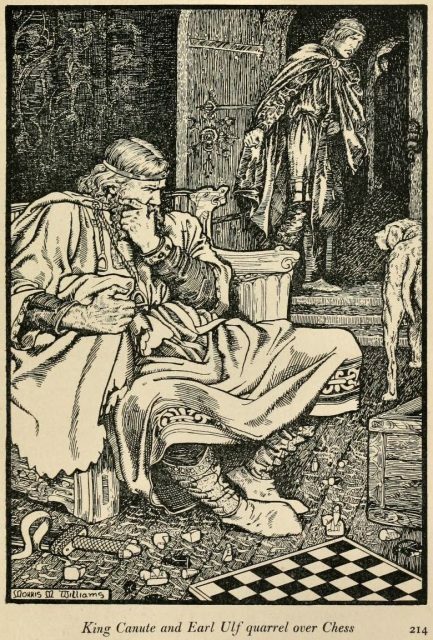 While in England, King Cnute heard that King Olaf II of Norway had struck up an alliance with Onund Jacob, King of Sweden, to overtake Denmark and were already wrecking parts of his kingdom. 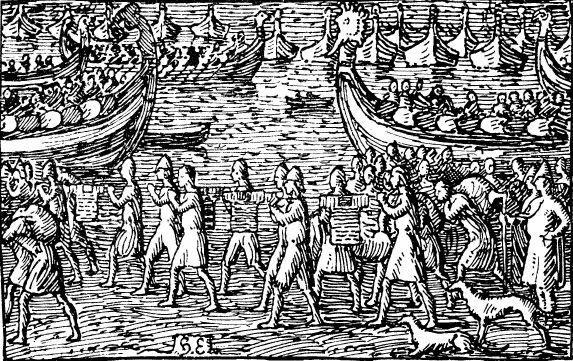 Cnut the Great’s men under attack by Olaf II of Norway. Swiftly, he began to muster as many men as he could for the journey home, where a deadly battle awaited. He readied a large fleet, with a vast number of men. His ships were said to be frightfully large and numbered up to 600. He sailed in his Dragon-Ship, which had a gilt figure-head and was about 80 meters long and had up to 60 banks of Rowers. Accompanying him was Earl Hakon who sailed in his own Dragon-Ship which had about 40 banks. Meanwhile, back home in Denmark, the freemen of Denmark harbored distaste for his continual absence from his throne and kingly duties, and had, as suggested by Ulf the Earl, installed Cnute’s son as king in his stead. So, heading back home, King Cnute was to restore himself as king and defend his kingdom. King Cnute and Earl Ulf. He also sought to punish Ulf, who by implication of Cnute’s son’s enthronement, had also become the ruler of Denmark since he was the regent of Denmark, and guardian to the eight years old Harthacnut, son of Cnute. However, punishment for Ulf was never spoken about as the Earl found his way back to Cnute’s side. Together they would fight in the battle of Helgea in 1026. 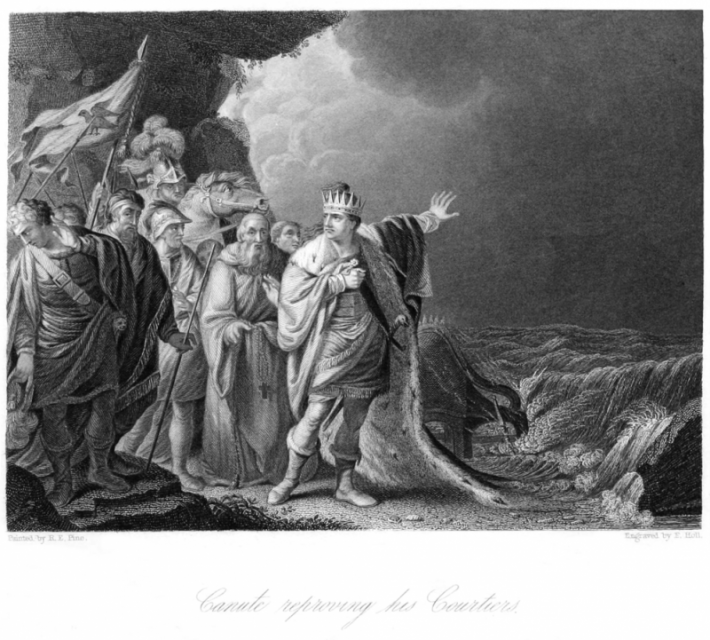 An Illustration of the legend of King Cnute and the waves. On reaching Denmark, he set his course for Limfjord. There, he met a large army of Danish men, assembled by his son under guidance from Ulf. He reclaimed his kingship and prepared for war with Olaf and Onund. 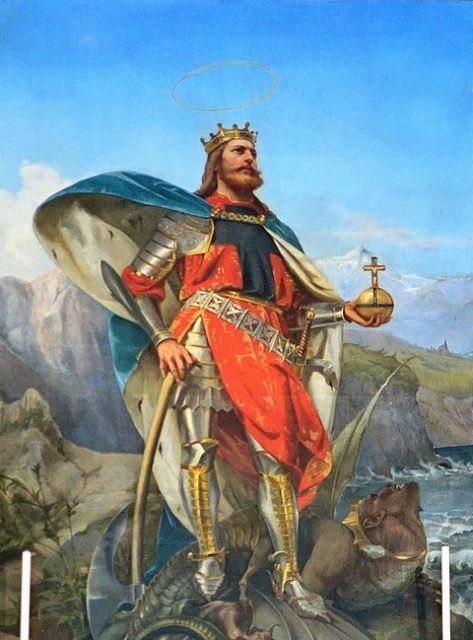 While King Cnute sailed with his vast navy along the Helgea River, Onund’s spies saw them. Hastily they ran back to their king to whom they reported. Onund ordered for the war horns to be sounded. His men readied for battle. The news was sent across to King Olaf who quickly launched his attack from afar. He ordered for a dam made of peat to be set up on the river. He then broke the dam, letting the river run its full course, roaring towards Cnute’s fleet. Illustration for Olav den helliges saga, Heimskringla 1899-edition. When Cnute’s men saw that the Swedes and Norwegians were prepared for battle, they went to the harbor, waiting for the perfect time to launch an offensive. They never expected to see the mighty body of water charging towards them like a waterfall, ripping away everything in its path. The men on the shore perished in the deluge. The rest were scattered in several directions as the violent river washed them away. Having launched the first attack, Olaf and Onund charged. And the battle began. 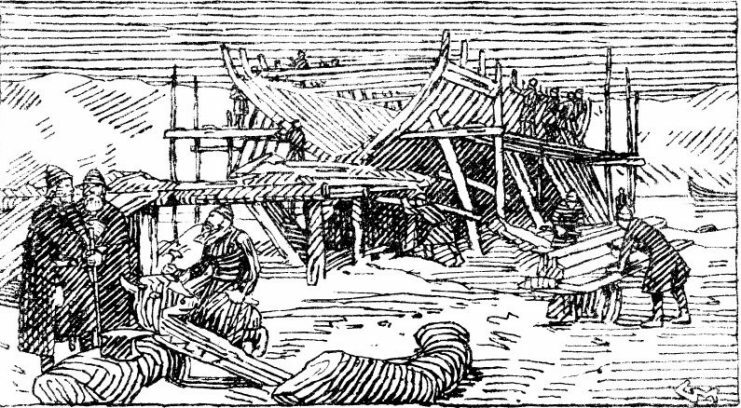 In the ensuing battle, Ulf’s fleet came to Cnute’s dragon-ship, and so did other ships which were scattered, assembling around their king’s ship. In the skirmish that followed, Olaf’s team found it hard to strike Cnute’s ship as it was too high for them and had well equipped fighters. 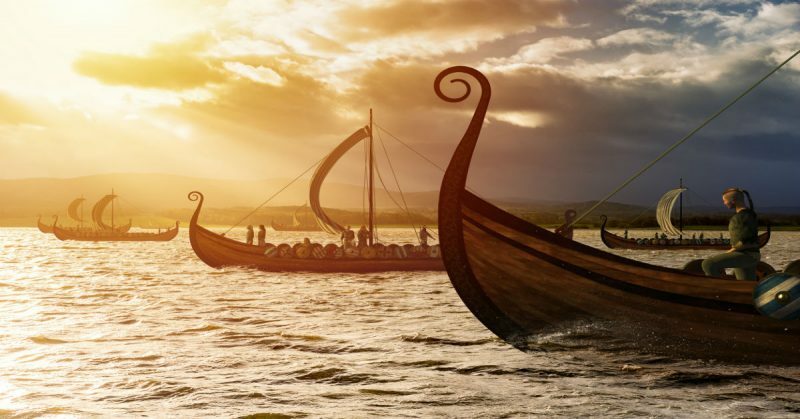 After hours of offensive exchanges, Olaf and Onund looked around, realizing that they had not lost any ships; they reckoned it was safer to retreat before Cnute’s ships reassembled completely.